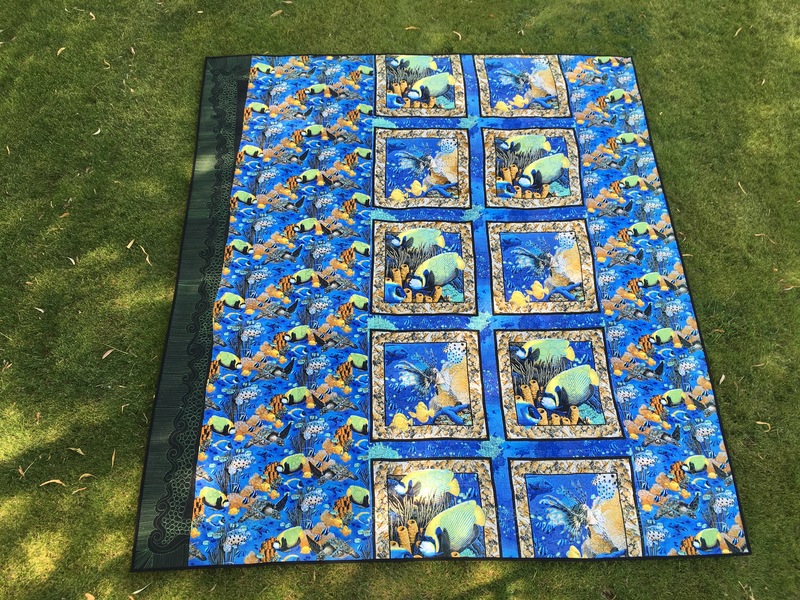 I want to share with you, a beautiful quilt, that has the most detailed embroidery, of Dolphins, star fish, crabs, seashells, sharks, whales and octopus’s. 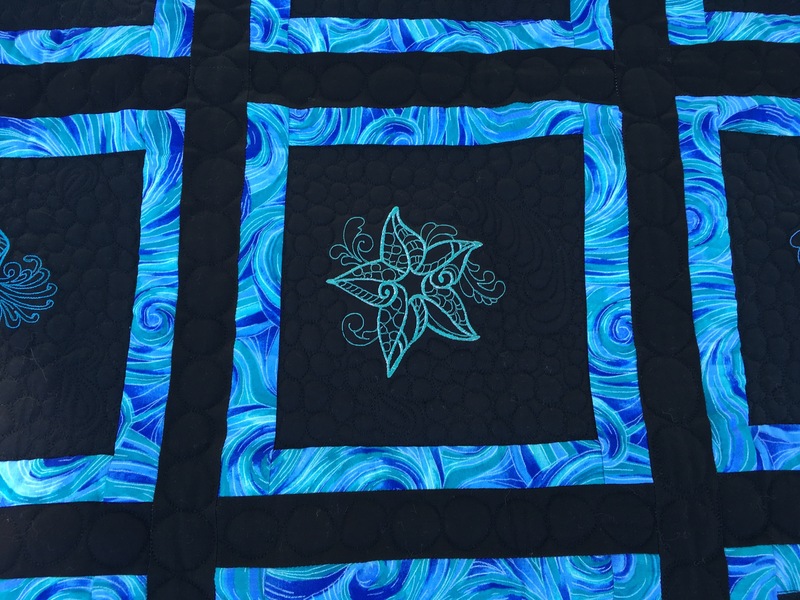 Carolyn sent me this quilt top, it is for her granddaughter’s birthday what a special gift to have for many years to come. 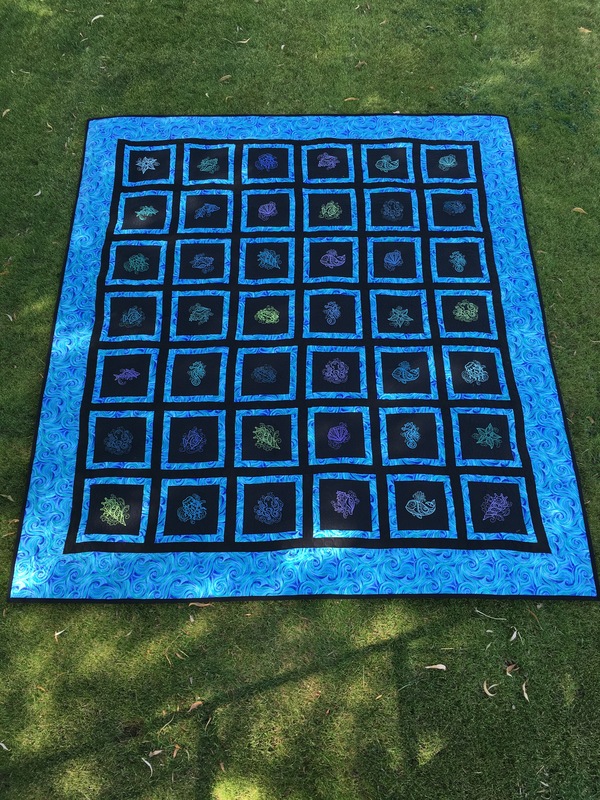 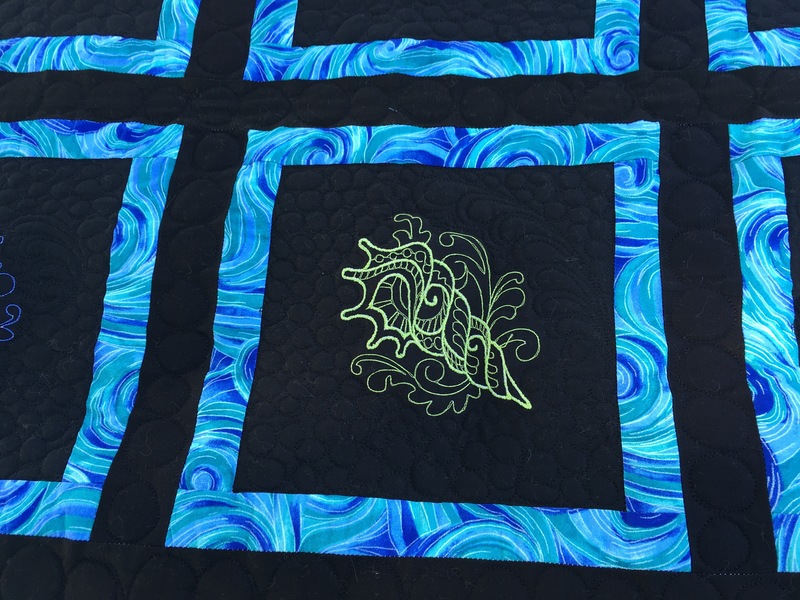 This quilt makes you want to pack your bags and travel to a sunny beach on a tropical island. 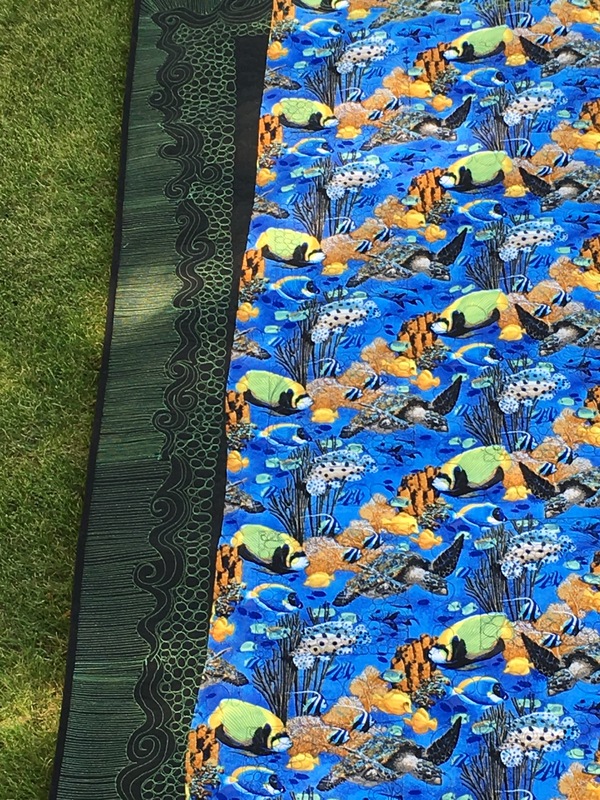 For this fun quilt top, I decided to quilt small pebbles, around the fun sea life and have free form feathers in the corner’s of the embroidered blocks to finish it I added large pearls in the black sashing strips, along with free form waves and pebbling with a straight line design to frame the outer edge of the quilt. 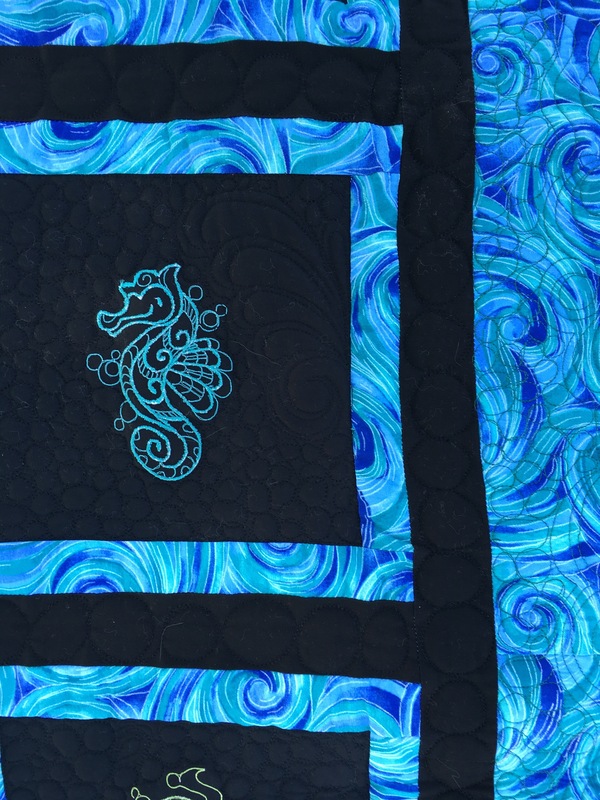 I had a blast quilting this fun Sea lifequilt, thank you Carolyn I hope your granddaughter loves her special quilt.